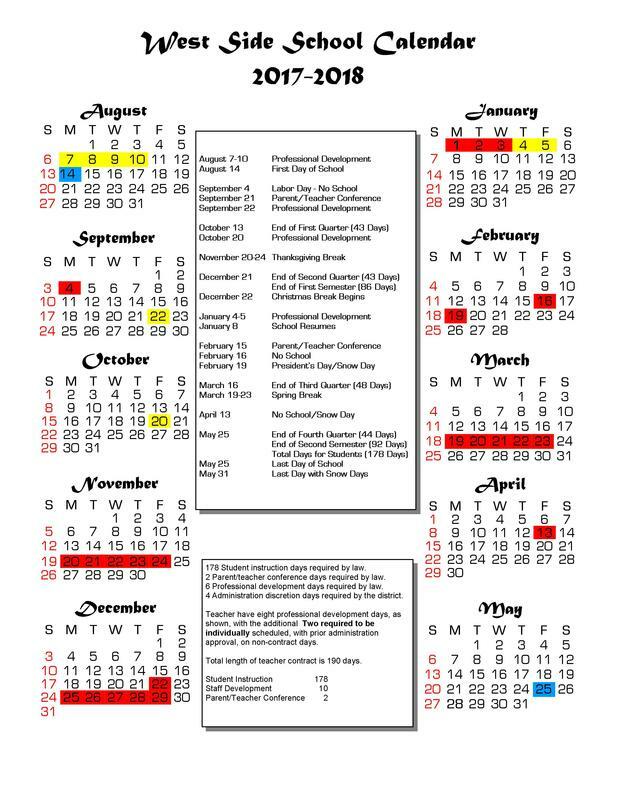 West Side School District Board of Directors has approved the calendar for 2017-18. For more information contact West Side School at 501-825-6258, or visit www.westsideeagles.org. Search for the West Side School District App on Google Play or App Store.